And finally I ran the GPU-enabled algorithm for finding the Euler path. And I was like: WOW! Finally! Victory is mine! This is awesome! I’m awesome, etc. Victory dance, expensive cognac. While the CPU series line displays expected behavior, something is definitely not right with the GPU series: there is obviously some variable at work that I am not taking into account. So, from the beginning. I owe the algorithm to this master thesis, which actually implements the algorithm proposed by B. Awerbuch, A. Israeli and Y. Shiloach, “Finding euler circuits in logarithmic parallel time,” in Proceedings of the Sixteenth Annual ACM Symposium on Theory of Computing, 1984, pp. 249-257. The algorithm as I see it may be split into 4 stages (even 3, but 4 is slightly more convenient implementation-wise). Let’s illustrate. This is the weak point of the algorithm. 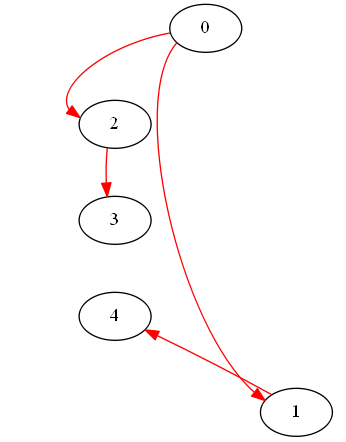 Partitioning a graph is, in general, a hard problem (NP-complete, to be precise), however, in this case, due to a very simple structure of the predecessor graph, the complexity is linear in the number of edges of the original graph: O(|E|). 3. We further collapse the graph based on partitioning. Now, each partition becomes a vertex of the new graph. Edges of this new “circuit graph” are vertices of the original graph, such that each edge represents a vertex two partitions have in common. This is the only part of the algorithm where the GPU is used and is very effective. Incidentally, I took the code almost verbatim from the original thesis, however, the author for some reason preferred not to implement this step on the GPU. Alright, this is much better – ignore directions. The output of step 3 gives us vertices of the original graph where our partitions intersect. We now need to swap edges of our original predecessor array around these vertices, so that each partition is not closed off on itself, but merges with its neighbor (it’s but a small correction to our original predecessor walk). We do this one-by-one, so partition 0 merges first with 1, then with 2. And 2 – with 3. And 1 with 4. And it’s a beautiful circle, we are done! Why not Break out That Cognac? This is not very impressive. What’s happening? 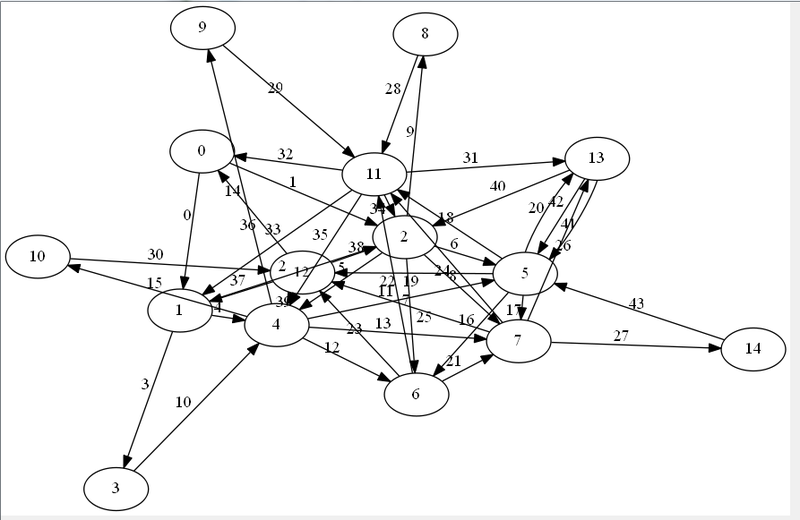 Unfortunately graph structure holds the key together with the HashSet implementation. 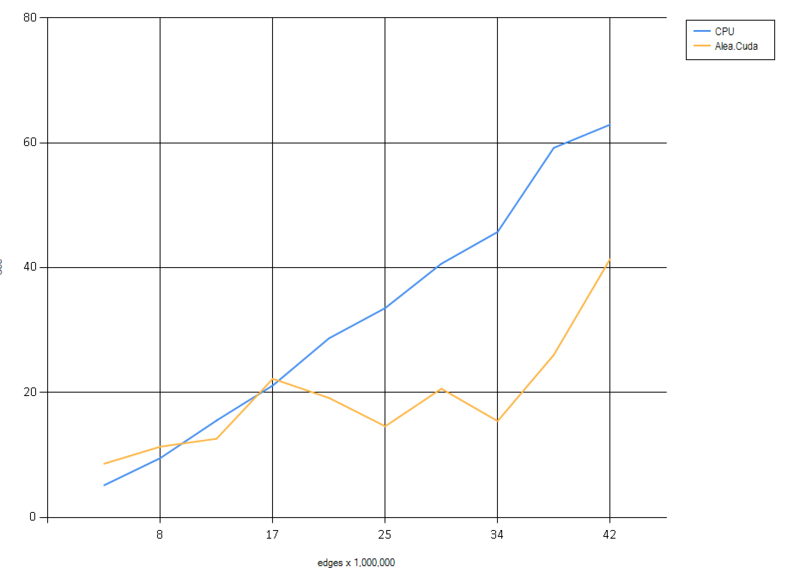 The deeper the graph the better it will fare in the new algorithm. The bottleneck is the partitioning stage. Even though its complexity is theoretically O(|E|), I am using a HashSet to restart partitioning when needed and that presents a problem, as accessing it is not always O(1)! 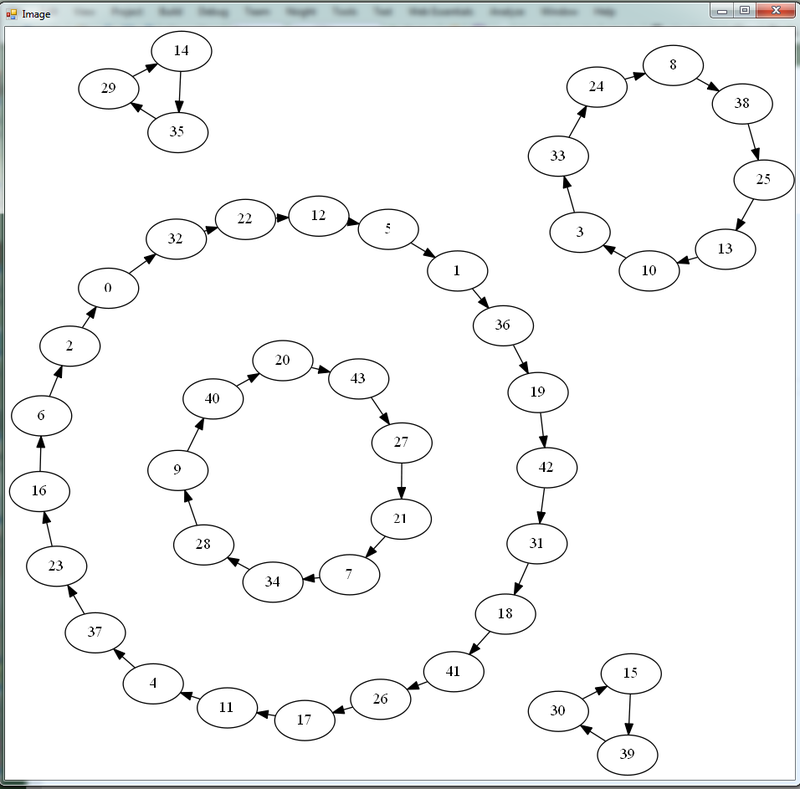 The methods for Euler graph generation are implemented as GenerateEulerGraph and GenerateEulerGraphAlt. 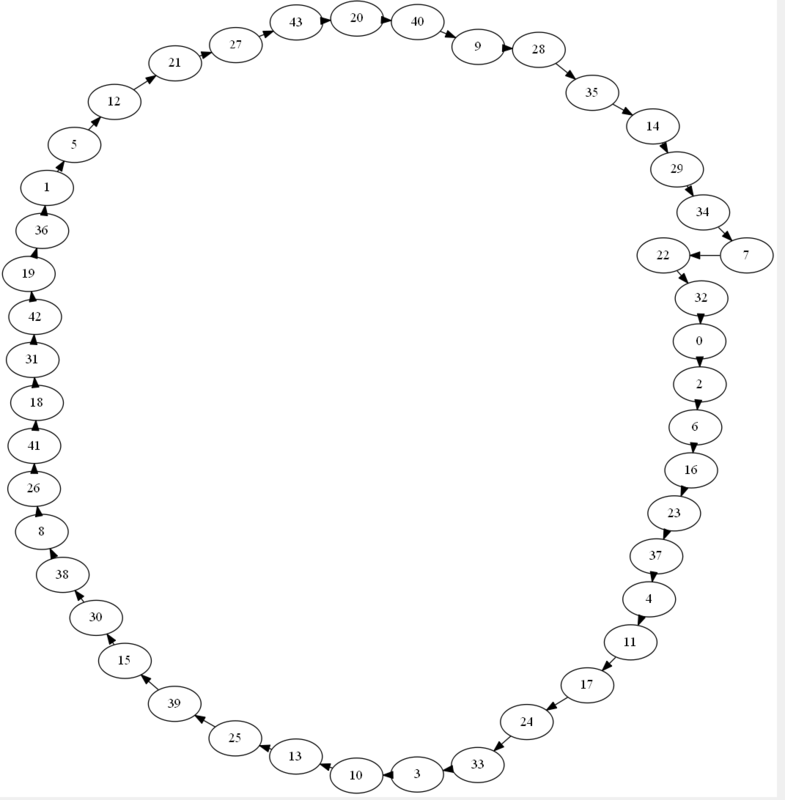 The first one “pleases the code”, and generates graphs that are very deep even when the number of edges is large. Usually I get less than 10 partitions, which means that every time I generate predecessors, I’m pretty much guaranteed to be “almost there” as far as finding a cycle. 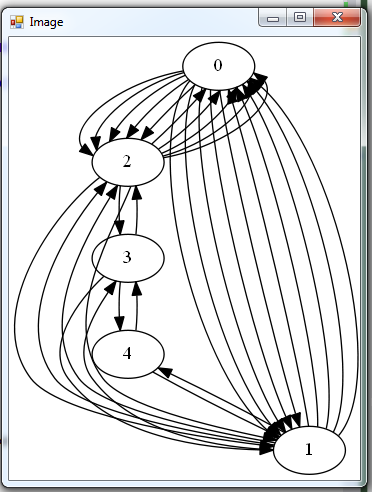 The second method tends to generate very shallow graphs, as the example above shows: I got a fairly large number of partitions while the number of edges is only around 3 million. So while the rest of the algorithm performance is pretty descent, computing partitions just kills the whole thing. Store the cognac for another time.